Everything needed to organise your own Balloon Release. 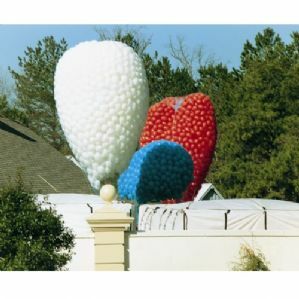 This package includes a release net, 200 quality 10" balloons, 200 Race Labels and enough helium gas to fill them all. 200 Balloon Race Package - Everything needed to organise your own Balloon Release! This Balloon Release package includes a Balloon Release Net, 200 x 10" BIO-DEGRADABLE latex balloons, 200 Race Labels (the return address must be added) and enough helium gas to fill them all. 200 x Pre-printed Race Labels with tear-off slip to record each senders name. The label indicates that a Balloon Release is in progress and instructs the finder to return the label to claim a prize for the furthest travelling balloon. The return address needs to be added to each label - we recommend PC sticky labels. Labels are 14 cms x 7 cms and hole-punched to pull the balloon knot through to secure label to balloon. 1 x Balloon Sizer to help accurate inflate the latex balloons to 10" diameter. 1 x N10 Helium Cylinder - includes helium gas, delivery and collection to one UK mainland address (commercial or residential), inflation nozzle and up to 30 days hire. A Helium Authority Form must be signed by the customer accepting responsibility for the cylinder whilst on hire and agreeing to pay the replacement cost if the cylinder is lost, damaged or stolen whilst on hire. 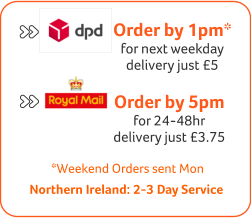 This form will be emailed after your order has been placed and must be returned to Click4 before we can deliver your helium cylinder. This agreement is in place of a monetary deposit.